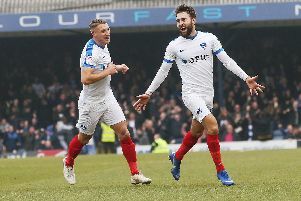 Check out highlights of Pompey’s 2-1 victory at AFC Wimbledon. First-half goals from Tom Naylor and Gareth Evans gave the Blues a 2-0 lead at the break. However, the Wombles put Kenny Jackett's men under pressure after James Hanson reduced the arrears, but the visitors displayed resolve to determination to clinch all three points.